am I the only one who LOVES this emoji!?!?! 04 Feb 13 copy & paste +upvote -downvote 🐣🐣🐣🐣🐣🐣🐣🐣🐣🐣🐣🐣🐣🐣🐣🐣🐣🐣🐣🐣🐣🐣🐣🐣🐣🐣🐣🐣🐣🐣🐣🐣🐣🐣🐣🐣🐣🐣🐣🐣🐣🐣🐣🐣🐣🐣🐣🐣🐣🐣🐣🐣🐣🐣🐣🐣🐣🐣🐣🐣🐣🐣🐣🐣🐣🐣🐣🐣🐣🐣🐣🐣🐣🐣🐣🐣🐣🐣🐣🐣🐣🐣🐣🐣🐣🐣🐣🐣🐣🐣🐣🐣🐣🐣🐣🐣 am I the only one who LOVES this emoji!?!?! 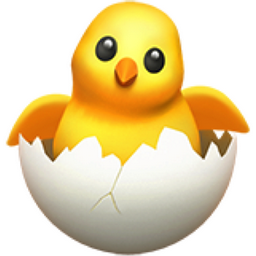 Like Hatching Chick Popular Emojitweets 1? Animals & Nature Category: View the emoji that occur naturally in our environment. Fish, flowers, trees, slugs, leaves, you name it! The emoji squirrel! Wow! If related to the environment or it breathes but is not a person, this is the category for you. Check out all the cute little furry and barnyard animals, oink!